Raspberry Ruby Beauty is a fantastic new concept for growing Raspberries, meaning that at last, even those with restricted space can grow this favourite summer fruit. 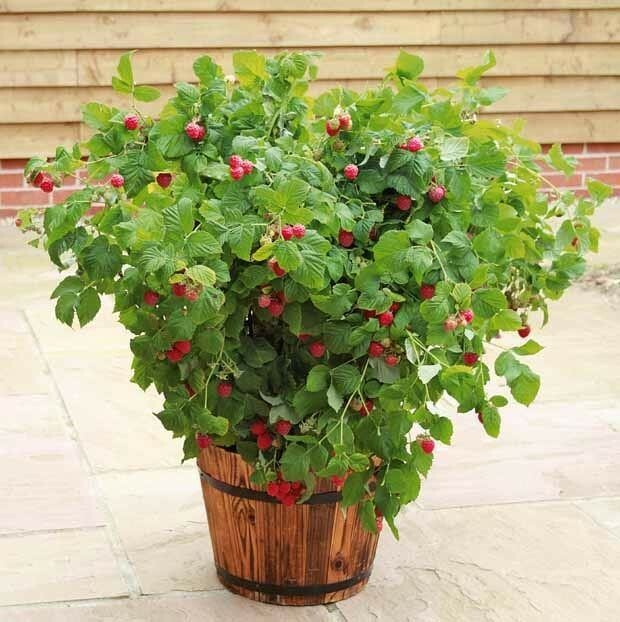 This special compact dwarf raspberry plant produces short canes that reach around a metre tall, which makes them perfect for growing in large patio containers and smaller gardens. 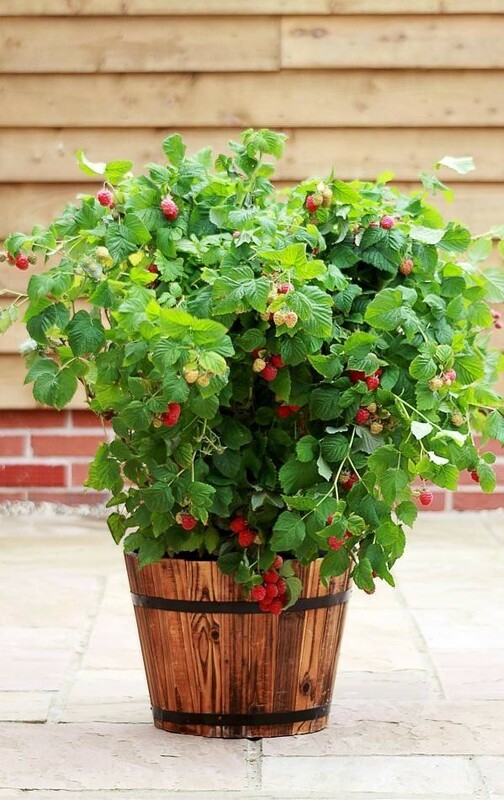 Try planting one raspberry plant per 10 litre container or 3 to a larger sized 40 litre pot. With Ruby Beauty, you can grow delicious Raspberries where you wouldn't have even imagined in the past, balconies, terraces and patios are all possible. Raspberry 'Ruby Beauty' is multi branching, and will produce good crops of delicious sweet raspberries, unlikely to all make it in to the picking basket! The stems are thornless, with and a short height of plants making harvesting very quick and easy too. If you've grown raspberries before but had your crop stolen by the bords, these lower growing plants could be the answer as they are very easy to net over should you discover the berries starting to disappear before you've harvested. 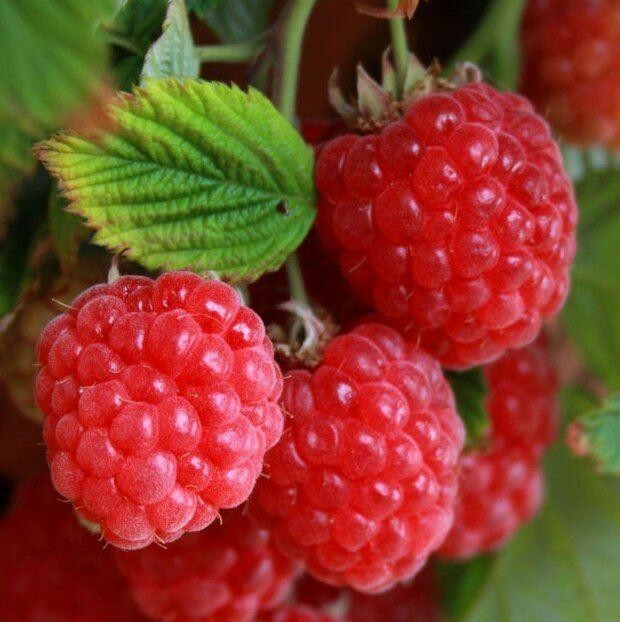 Low maintenance and easy to grow, isn't it time to try growing your own Raspberries with Ruby Beauty? Pack of THREE well established pot grown Plants in 1-2 litre containers.